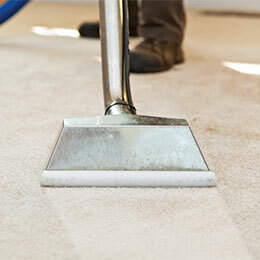 We established Carpet Cleaning Los Angeles decades ago providing quality carpet cleaning services at affordable rates. We have thousands of happy customers that use our services because of our track record in the cleaning industry. You want professional technicians that are skilled in carpet cleaning and related cleaning services in Los Angeles. We are always striving to deliver better cleaning services while we better pricing. We have created eco-friendly and efficient cleaning methods that are cost-effective. Carpet Cleaning Los Angeles offers various services which include sofa cleaning, carpet cleaning, tile cleaning and air duct cleaning. 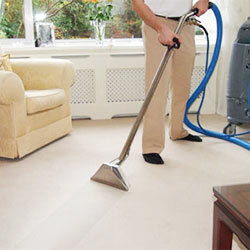 Carpet Cleaning Los Angeles are the experts providing every type of cleaning that you need. Every home has areas that need cleaning professionals who are experienced and efficient. You want a company that knows how to clean every kind of carpet on the market. Carpet Cleaning Los Angeles knows specialty approach to your cleaning needs uses the best technicians available in the industry. For most people, your home and furniture are the biggest investment that you will make in your lifetime. Like you, most people will shop around pick the home most suited to their needs. We try to fill it with the best furniture and carpets that we can afford. You spend a lot of time, effort and money when you choose lovely carpets, exotic tiles and comfy furniture to suit your specific lifestyle needs. Like everyone else we want to protect it. Because it is a huge investment you want to extend the life of the furniture by keeping it clean and well-kept. Your busy modern lifestyle may not allow you a lot of time to preserve these assets. The perfect solution is calling Carpet Cleaning Los Angeles to attend to your cleaning and maintenance needs. Carpet Cleaning Los Angeles has been around for many years in the cleaning industry, and we have proved detailed cleaning methods for every type of furniture and flooring. Contact our friendly consultants at Carpet Cleaning Los Angeles and we can talk to you about the entire cleaning. We can talk to you about your specific needs. Save time and trouble by calling us first. Our technicians will arrive at your home for your scheduled appointment and start with a systematic assessment of carpets or tiles that need to be cleaned. They’ll do an assessment on the carpets, the fiber and extent of soiling. For your couches and love seats, you will receive a quotation after the inspection of your couches in Los Angeles. It will be up to you to decide if our technicians continue with the cleaning. Our stain removers are harmless to your fabrics, your family and the environment. These eco-friendly solutions are specially chosen from the best in the industry. Our technicians will start the deep cleaning process as soon as the stains have dissolved. The cleaning process starts with the application of a unique cleaning solution. Cleaning equipment that is best suited to your specific furniture item is used. Our trained technicians will be careful with your valuable possessions when they work on them. They are the best in Los Angeles. Carpet Cleaning Los Angeles only uses modern cleaning equipment to clean your dirty carpets and furniture. The equipment includes the latest extraction machinery that removes all dirt and moisture from your furniture or rugs with a powerful suction. We do this to ensure that you can use your sofas and couches on the same day. We finish the cleaning with an intensive disinfecting procedure. We make us of special sanitizer that kill all germs and bacteria. Your furniture will be the cleanest furniture and carpets in Los Angeles. We guarantee it the fabrics will look like showroom condition clean once again. Carpet Cleaning Los Angeles provides cleaning services that leaves your valuable rugs in superb condition. Safeguard your sofas from future damage or staining. Our technicians use a transparent protective coating that acts as a shield. The benefits are many and most importantly it will extend the lifetime of your upholstery. We offer the most complete, efficient and affordable cleaning services in the Los Angeles area. Our commercial and domestic clients in Los Angeles are happy with our attention to detail and our superb customer service. Through hard work we have set up an outstanding reputation in the carpet cleaning industry. 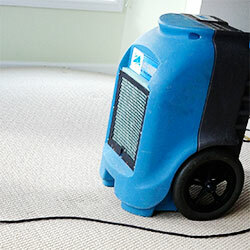 Carpet Cleaning Los Angeles has developed a range of services specifically for the needs of each client. We have been providing professional cleaning services for both hotels and residential properties in the Los Angeles region for many years. 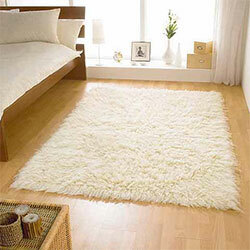 Rugs are an ideal way to bring some class and warmth into your home. What makes rugs such an ideal décor item is the fact that you can choose from an endless variety of designs and colors. Rugs can be expensive. Exotic rugs are usually hand-made from delicate fibers and they are woven with colorful design patterns and details. Many exotic rugs are one of a kind. Carpet Cleaning Los Angeles is experienced in rug cleaning and understands the care that needs to be taken when they get stained. Regular vacuuming with normal vacuum cleaners will not necessarily guarantee that your Afghan rug is clean. These vacuum cleaners only remove the dust from the surface but not much more. We recommend that you use our professional services frequently to restore your rugs’ colors and to ensure they last. Our cleaners know that rugs consist of several layers of underlying linings that cannot be accessed with daily vacuuming. It is not just the dirt that you need to get rid of in your rug. Every day cleaning of your exotic rugs will keep in them looking good but not completely germ-free or really clean. Carpet Cleaning Los Angeles selects only the best technicians because we know the importance of keeping your rugs hygienic and odor free. Another reason for using our services is that you can protect your rug from future damages. We apply a sealant after the cleaning that seals the fibers and prevents harmful microorganisms from collecting in your rug. Carpet Cleaning Los Angeles is the industry leader when it comes to providing complete cleaning results and reasonable rates. Our services include air duct cleaning, couch cleaning and tile cleaning. Our assistants will take your call and help you with your cleaning needs. Give Carpet Cleaning Los Angeles a call for the most complete cleaning, drying and restoration services of all your valuable furniture. Don’t be afraid that your rugs will lose their beauty and their colors will fade when you use our services. We guarantee our work. Call Carpet Cleaning Los Angeles for our professional rug cleaning services. We will come to your home to examine, clean and disinfect your rugs. We also offer intensive cleaning services for shopping malls and commercial buildings. We have trained our technicians to clean large areas in any corporate environment. We understand the needs of commercial clients and have industrial cleaning equipment to handle any large area. 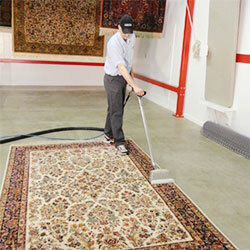 Carpet Cleaning Los Angeles will help clients that would like their rugs cleaned at our facility. We offer a free pickup and delivery service, pick up the rugs from your building, remove all stains and restore the rugs to its perfect condition before we deliver them at your home or business. Carpet Cleaning Los Angeles uses nontoxic cleaning products to clean and restore your rugs. We use only the most advanced deep methods. 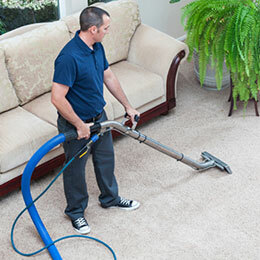 Carpet Cleaning Los Angeles has proved itself as the top carpet, rug, and sofa cleaning company in Los Angeles. We produce excellent results with our extensive cleaning and restoring services. Once we have cleaned a customer’s furniture, they continue to use our services. Our clients are delighted with our service and quality cleaning services. Carpet Cleaning Los Angeles keeps our cleaning technicians up-to-date with the latest cleaning methods to handle any problem. 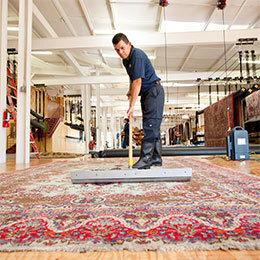 Our cleaners are experienced in cleaning rare and valuable articles such as imported rugs and beautiful couches. Carpet Cleaning Los Angeles has tried and tested cleaning processes that removes dirt without harm to your valuables. 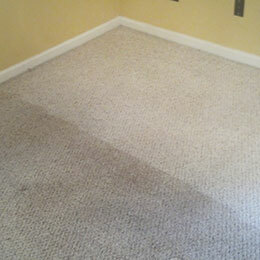 Carpet Cleaning Los Angeles offer comprehensive carpet cleaning services at the most affordable rates. Potential customers are hesitant to use professional carpet cleaning services because it could be too expensive. You will find our pricing very reasonable. You are not obliged to make use of our services and you will receive a free quote before any cleaning start. We have the fastest response time in Los Angeles. We value every customer and you will see that with our attention to detail and professional service delivery. An inspection will be done after the cleaning service to make sure you are completely satisfied with our work. You will receive advice from our technicians on a cleaning plan for your carpets in between professional cleaning. We’ll give you advice on preserving your rugs properly during the intervals between professional cleaning. 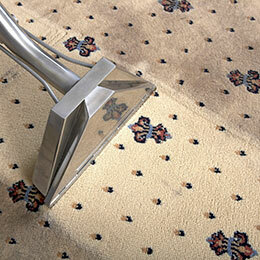 Carpet Cleaning Los Angeles understands that expensive rugs need special care when they are cleaned. We have been restoring water damaged rugs in Los Angeles for many years. We respond immediately to a water damage crisis. Our restoration services will be at your building in double-quick time to help you with your emergency. We use different types of brushes for different kinds of fabrics on your delicate upholstery. 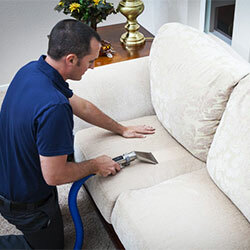 For leather upholstery our specialized machines make sure the couches get cleaned with an alternative to soap and water. Call us for immediate restoration services when you need emergency rug repair. 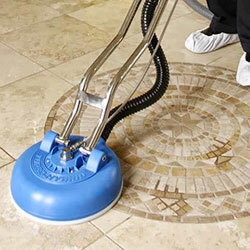 Carpet Cleaning Los Angeles is not just known for our exceptional tile and carpet cleaning. We are a specialized cleaning company that has expert technicians. 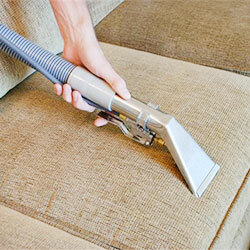 We can take care of your upholstery cleaning and maintenance. 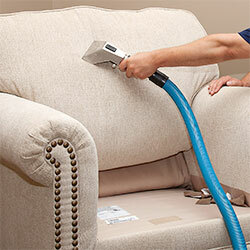 We use high-quality cleaning equipment specifically made for upholstery cleaning. Our company understands that your couches, chairs and loveseats hold great value to you. That’s why we have invented cleaning techniques that are harmless to furniture. 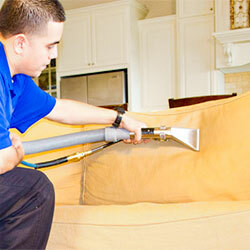 The first thing our technicians will do upon arriving at your home is a thorough vacuuming of all your couches. 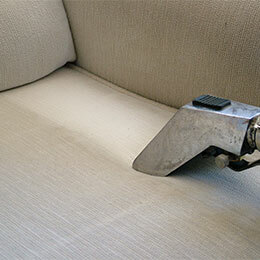 We use different types of soft brushes to apply the cleaning solution over the entire surface of your upholstery. This cleaning process lifts all dirt, stains and other pollutants from the fabric, leaving it easy to remove. We use powerful dirt extraction machinery will remove all signs of rubbish and moisture from your furniture. To ensure that you can use your furniture on the same day we will continue with an intensive drying procedure. 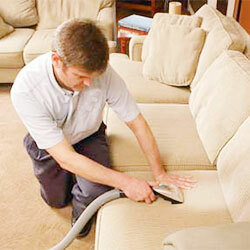 To ensure that your furniture smells wonderful, we will finish the whole process with a thorough sanitizing procedure. We make sure all your furniture is replaced in their original positions and that you are satisfied with our work before we leave your home. We guarantee complete customer satisfaction.